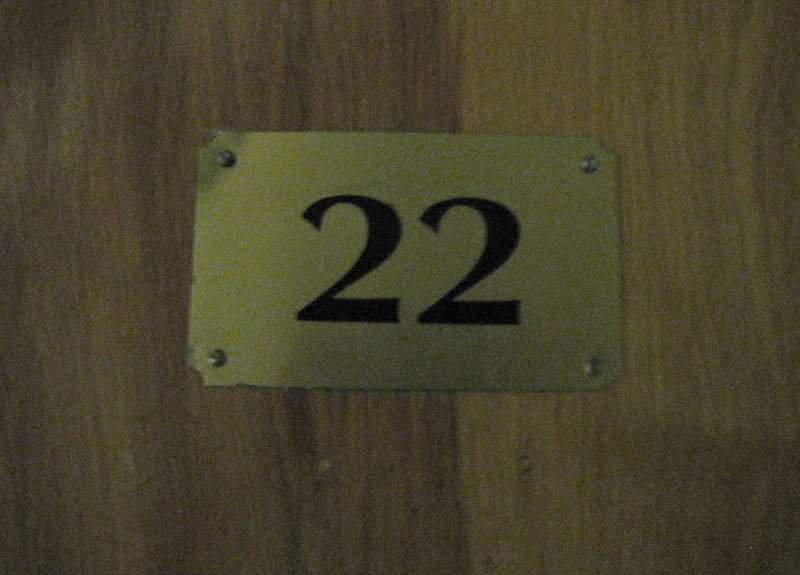 Behind this door two college men are eating very well. Our son Max is happily ensconced in his first apartment at Big Ten College. One of the exciting parts of moving into his apartment, he said, is the ability to cook for himself instead of eating food service food. And Max can cook. One of his sister Tory’s and my favorite meals is his risotto. Max watches a few cooking shows, loves to eat in restaurants (we call it “fine dining” at our house) and has a good buddy named Greg who is attending the CIA (you know, the cooking school?!). All the basics Max requested. 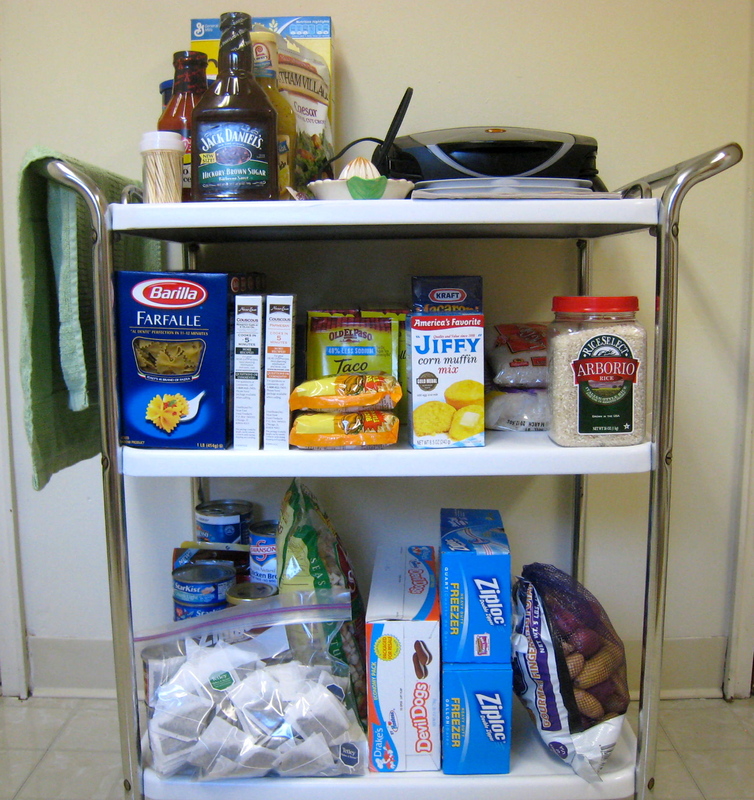 We helped Max move in, set up his kitchen and stocked his freezer and frig with some basics to get him started. After all, he doesn’t have a car so he’s going to be either biking or walking to the nearest food store, then returning home, likely carrying his food on his back. We (okay, me, since I don’t think it even occurred to Mike) wanted to set Max up so he could jump right into actually cooking. 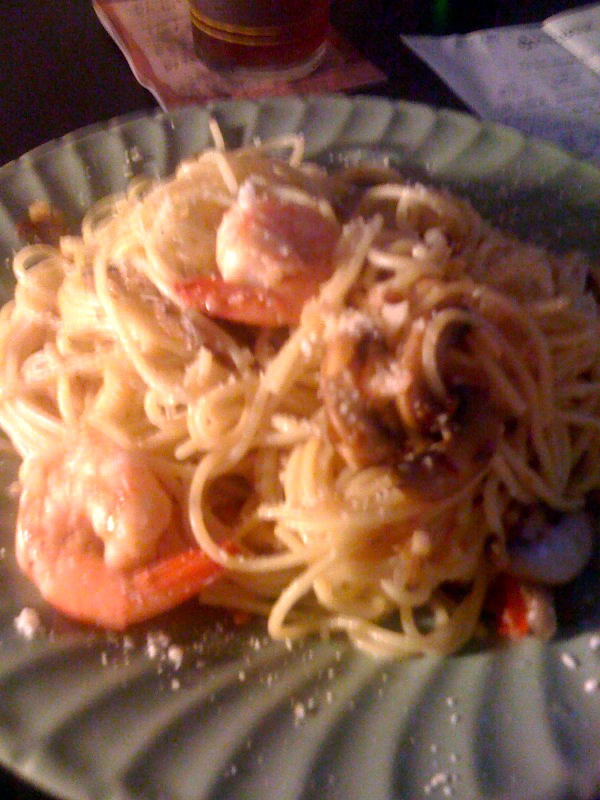 Per Max's email to me, "Sauteed garlic, shallot, mushroom pasta with cream and parm." Our son is cooking meals for himself and his roommate Tim that he never cooked for his own family! So far this week Max has eaten far more healthful food than his own family has. Sunday night, exhausted, we ate at Tinga, our local Mexican restaurant where Max used to work and now Tory works. Monday night we ate various leftovers that were sitting in the frig. Tuesday night I made sausage, peppers and onions sandwiches. I’m thinking about moving in with Max and Tim. I’d eat really well. . .but I guess I wouldn’t sleep worth a darn.